From establishing of geographilatelic section in 1989 year take place twice anually GEOPHILA members meetings. Once a year is meeting in Prague, once a year in Moravia (east part of the Czech Republic), that also members from this part and from Slovakia can easily take part on meeting. 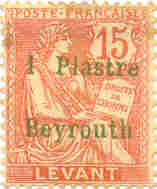 Meetings are usually by occasion of philatelic exhibition or regional stamp bourse. Regullary more than 30 GEOPHILA members take part on meeting. Place: Conference Hall No.3, Fairgrounds PVA Letnany Prague, from 13:30 hrs. Place: Kotlarska 53, Brno, meeting room in ground floor, from 11:30 hrs.